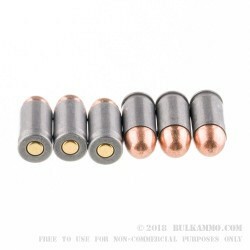 This is a 9x18mm cartridge specifically made for the 9mm Makarov platform. The .380 Auto is a 9mmx17mm cartridge. The 9mm Luger is a 9mmx19mm cartridge. They each have a different nominal diameter for the projectile also. They are not interchangeable. There are significant differences between the pressure minimums and the specific behaviors of each of these rounds and they should not be mixed. With disclaimers out of the way, this is an excellent round for your 9mm Makarov and offers a good bit of power for your specialty needs. 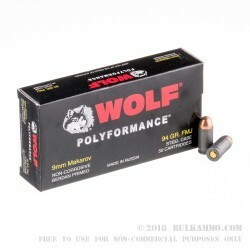 It is a full metal jacket (FMJ) round ball type ammunition and while made for the range and for general shooting purposes, it could be used in a self-defense scenario. There are very few offerings on the broad market for dedicated personal defense rounds for the 9x18 (Makarov) and these are an excellent bridge between those rounds. This load features a 94 grain projectile and offers a very nice 1030 feet per second of muzzle velocity and 224 ft. lbs. of energy at the muzzle. It is a proven round that has been around for a very long time and in the hands of civilian and military shooters for many decades. 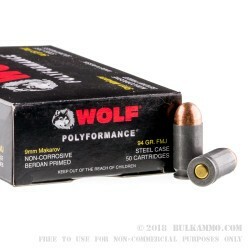 The steel cartridge is Berdan primed and basically not reloadable; but features a nice poly coated case to aid in feeding and extraction reliability. It should be made clear: this is a 9mm Makarov cartridge. It IS NOT COMPATIBLE with .380 Auto or 9mm Luger.